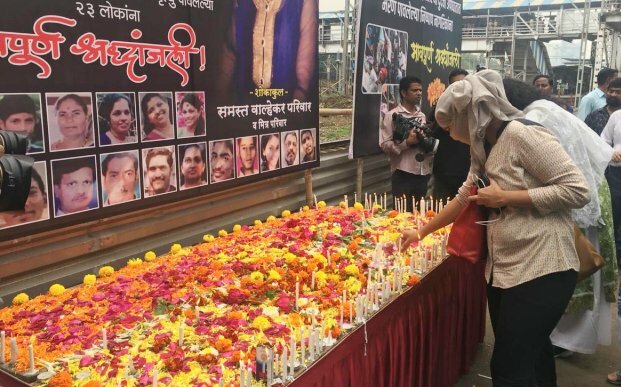 ONI Bureau: People in Mumbai on Saturday paid tribute to Elphinstone stampede victims on the 1st anniversary of the incident. 23 commuters had died and 39 sustained injuries in a stampede on foot-over Bridge connecting Parel-Elphinstone Road stations, collapsed at the suburban Elphinstone Road station in Mumbai on 29 September, 2017. Due to rain, the overbridge of Elphinstone station got slippery and overcrowded that resulted the stampede.